Our Bloomsbury wedding invitation is perfect for a vintage or regal style wedding and has been on our books for the last three years. We show it on our website with an ivory vintage damask print, peach satin ribbon and finished with a small diamante embellishment, but it can be made in most colours. We recently worked on quite a large stationery order in our Bloomsbury design. 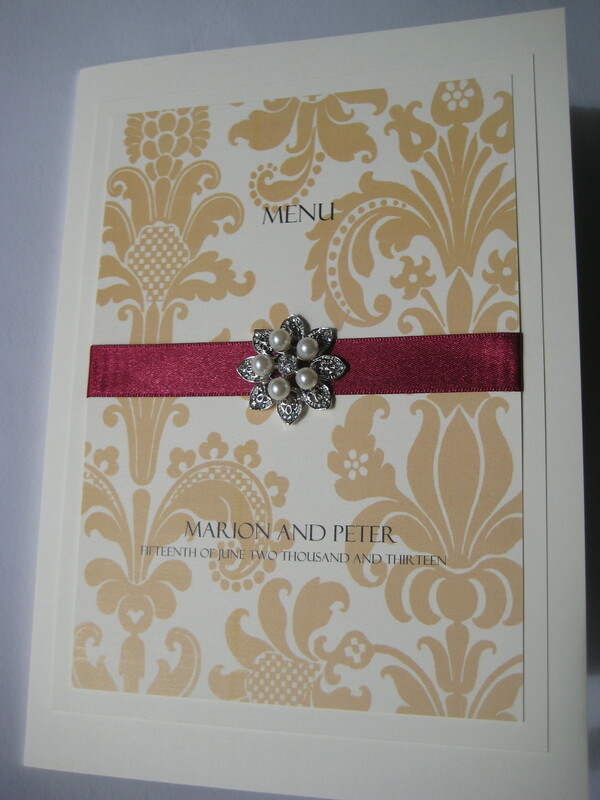 The customer ordered 120 pocket wedding invitations in a Gold and Burgundy colour scheme which looked stunning and were finished with burgundy satin ribbon and a large pearl and diamante embellishment instead. The Bloomsbury design consists of a damask pattern print in your chosen colour with satin ribbon and a crystal embellishment. This customer chose a pocket style, but invites are also available as a wallet, folded or flat style. 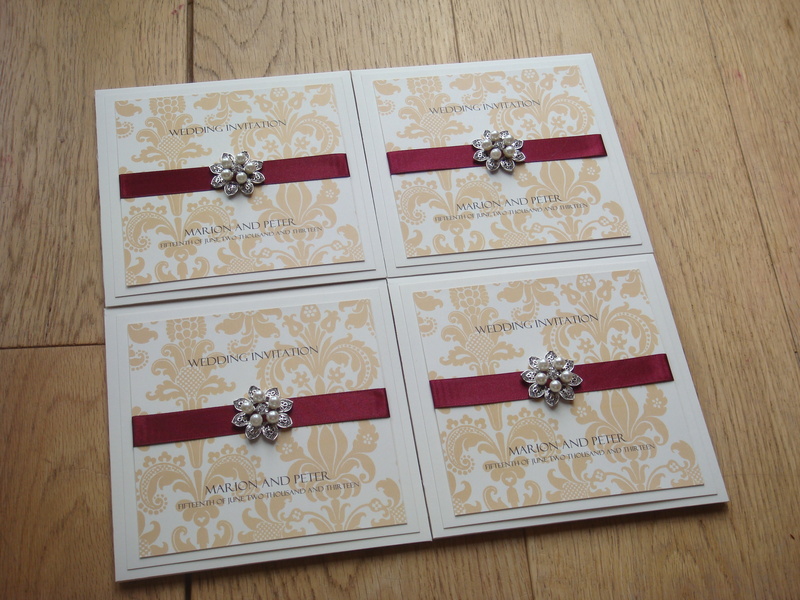 Once we finished their invitations they came back and asked us to make their on the day stationery later in the year. With over 300 guests attending the wedding it was a large order to work on. Once the couple had managed to finalise all the final details (which I cant imagine was easy with the number of guests attending) we then completed the rest of the order. We made two extra large table plans which had 15 tables on each canvas. Marion felt that two different plans would work better and would speed up the time it took her guests to find their seats. 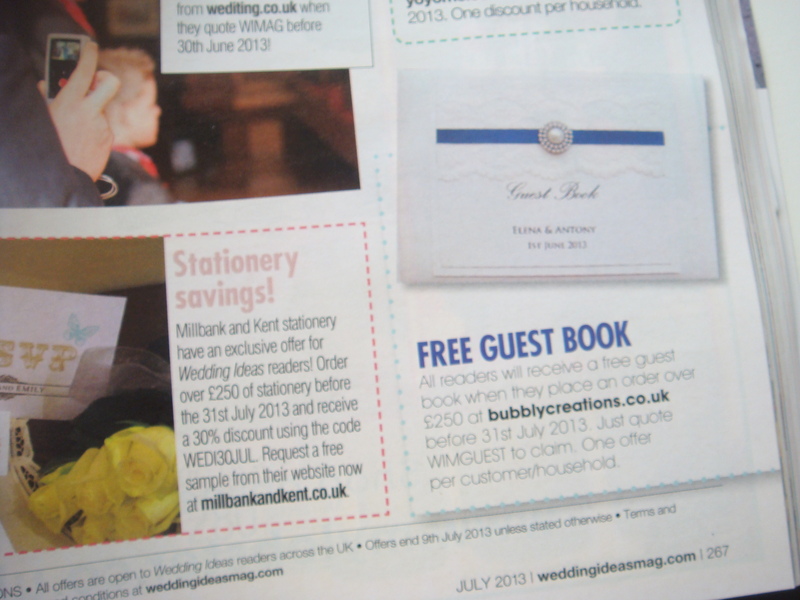 They also had 150 order of service booklets, 30 menus, table number cards all in the same design. 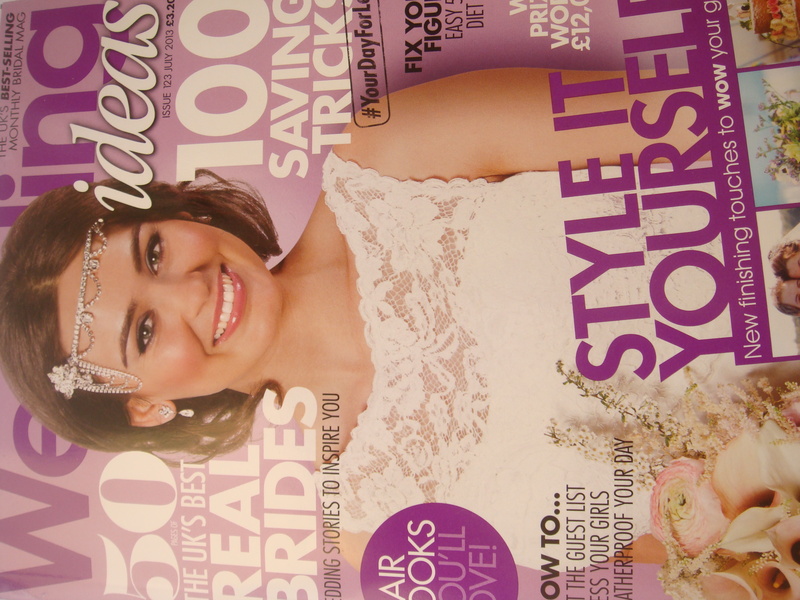 We have advertised with Wedding Ideas Magazine since we started in 2006 and we have always been lucky to feature in their magazine every month. This issue we have been lucky enough to have six of our stationery items featured and it appears that our Glamour design is very popular with four out of the six being various stationery items from the collection.